The World Rugby Rankings is a ranking system for men’s national teams in rugby union. The teams of World Rugby’s member nations are ranked based on their game results, with the most successful teams being ranked highest. A point system is used, with points being awarded on the basis of the results of World Rugby-recognized international matches. The Fiji national rugby team are also known as the Flying Fijians with their emblem being a palm tree in a rugby ball. Fiji plays in the Pacific Tri-Nations, and has won the most Pacific Tri-Nations Championships of the three participating teams. One of the problems for Fiji is simply getting their rugby players to play for Fiji as a country, as many have contracts in Europe or with Super Rugby teams where the money is far more rewarding. 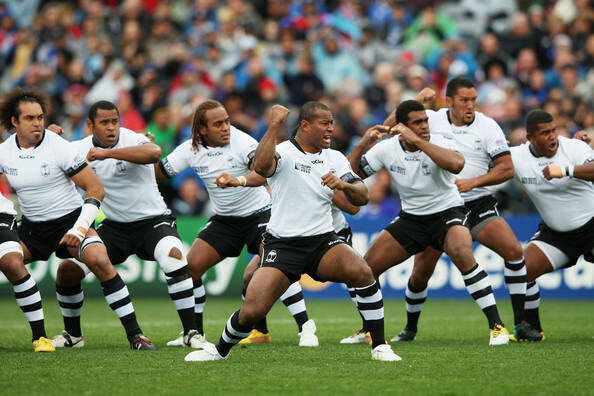 The cibi war dance is performed by the Fiji rugby team before each Test match. It has been used on the rugby field since 1939, though its origins date back to the country’s warring times with its Pacific neighbors. The Argentina national rugby team are nicknamed the Pumas (Los Pumas in Spanish), they play in sky blue and white jerseys and the emblem of the jaguar. Although rugby in Argentina is not as popular as football, the sport’s popularity has grown significantly. A surprise victory over the hosts France in the first game of the 2007 World Cup took Argentina to fourth in the IRB World Rankings. While they were winless during the 2017 Rugby Championship, the Pumas have already won two Tests in the 2018 Rugby Championship. The France national rugby team are known as Les Bleus (The Blues) and their emblem is the Gallic Rooster. France traditionally play in blue shirts with white shorts. Rugby was introduced to France in 1872 by the British. France competes annually in the Six Nations Championship. They have won the championship outright sixteen times, shared it a further eight times. Ten former French players have been inducted into the World Rugby Hall of Fame. Since the inaugural World Cup in 1987, France have qualified for the knock-out stage of every tournament. They have reached the final three times. France were ranked #2 on the world ranking in 2006 until falling down the rankings in 2007. The Australia national rugby team are nicknamed the Wallabies. The Wallabies play in Australia’s traditional sporting colors of green and yellow. Australia have competed in all eight Rugby World Cups, winning the final on two occasions and also finishing as runner-up twice. The Wallabies also compete annually in The Rugby Championship, they have won this championship on four occasions. Australia were one of the worlds greatest rugby teams but have been falling in ranking with 2018 being their worst performing year. The Scottish rugby team dates back to 1871. The national rugby team emblem is the thistle and traditionally wear blue shirts with white or blue socks. Scotland have a strong rivalry with the English national team. They both annually compete for the Calcutta Cup with Scotland having last won in 2018. Scotland has competed in every Rugby World Cup since the inaugural tournament in 1987, their best finish was fourth in 1991. Scottish Rugby has generated one of the strongest operating results for the game in its history during 2017 – 2018. 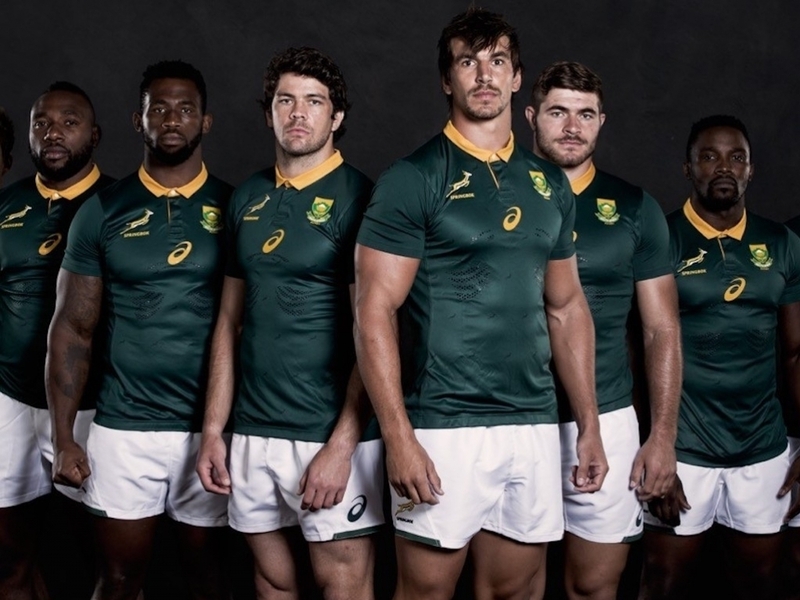 The South Africa national rugby team is commonly known as the Springboks. The Springboks play in green and gold jerseys with white shorts, and their emblems are the Springbok and the King Protea. The Springboks did not compete in the first two World Cups in 1987 and 1991 because of anti-apartheid sporting boycotts of South Africa. South Africa won the World Cup in 1995 and 2007. As a result of the 2007 World Cup tournament the Springboks were promoted to first place in the IRB World Rankings, a position they held until July the following year when New Zealand regained the top spot. They were named 2008 World Team of the Year at the Laureus World Sports Awards. The Springboks also compete in the annual Rugby Championship, they have won this championship on three occasions in sixteen years. Eleven former South African international players have been inducted into either the International Rugby Hall of Fame or the IRB Hall of Fame. England players traditionally wear a white shirt with a rose embroidered on the chest, white shorts, and navy blue socks with a white trim. The history of the team extends back to 1871. The England national team competes in the annual Six Nations Championship, they have won this championship outright on a total of 28 occasions (with the addition of 10 shared victories), making them the most successful team in the tournament’s history. England are to date the only team from the northern hemisphere to win the Rugby World Cup, when they won the tournament back in 2003. When the World Rugby Rankings were introduced in October 2003, England was ranked 1st. England were ranked 8th in the world as of 1 November 2015 and have made their way up the ranking since then. The Welsh Rugby Union (WRU), was established in 1881. Wales play in red jerseys, white shorts and red socks, the jerseys are embroidered with the Prince of Wales’s feathers. Wales national team competes annually in the Six Nations Championship and have won the Six Nations and its predecessors 26 times outright. Wales finished second in the last Six Nations. Wales played in the inaugural Rugby World Cup in 1987 where they achieved their best ever result of third. Eight former Welsh players have been inducted into the World Rugby Hall of Fame. 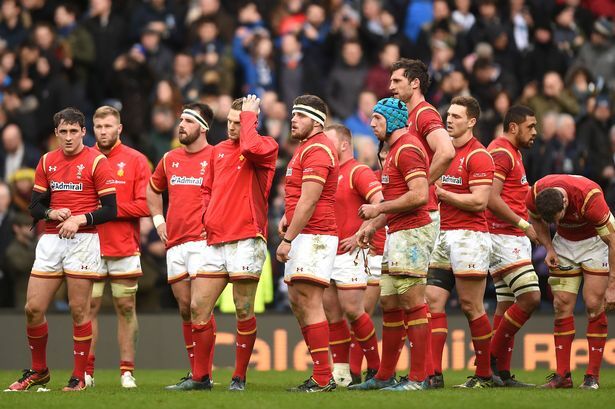 The Wales national team reached their highest ranking of 2nd during the 2015 Rugby World Cup and are now ranked #4. The Ireland National team plays in a green jersey, white shorts, and green socks. 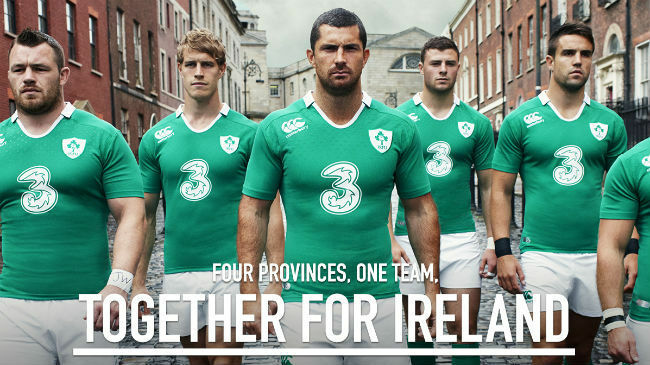 Their emblem consists of a shamrock and rugby ball. The Ireland national team dates to 1875. The team competes annually in the current Six Nations Championship, which they have won fourteen times outright and shared nine times in its various formats. The team also competes every four years in the Rugby World Cup, where they reached the quarter-final stage in all but two competitions (1999 and 2007). Eleven former Ireland players have earned induction into the World Rugby Hall of Fame. 2018 has been Ireland rugby’s year with the strongest results.